Walton Laptop Made in Bangladesh. Walton has launched 4 models of laptops. These are available in market. This laptop with ‘Made in Bangladesh’ tag has been made in Walton’s own factory at Chandra in Gazipur, Bangladesh. The cost of affordable laptops is only between 19 thousand 990 to 23 thousand 550 BDT. Walton Computer Project In charge Engineer Liaquat Ali said that these laptops of the prelude-series have been made considering the purchasing ability of the students and youths. 14.1-inch HD display is used in attractive design laptops. In the model, there is a 1.1 Giga-harge speed Intel’s Apollo Lake N 3350 and N3450 processors. All models have built-in Intel HD Graphics 500, 4GB RAM, 1 terabyte hard drive and 5000 mAh battery. Prelude series laptop’s Price in BDT. Laptop manufactured in Bangladesh – Collected from walton’s website. All of information are served by WALTON Group. This laptop, which weighs only 1.33 kg, comes with a silver, black, gray and golden four colors. All models laptops will have two year warranty. From next month, customers will be able to install Microsoft’s Genuine Windows from any of Walton’s outlets at affordable cost. Afterwards, all new laptops and computers of Walton will have Microsoft’s genuine software. As a result, the efficiency and speed of laptops will increase. With just 20 percent down payment, buyers can buy all types of Walton laptops and desktops in 12 months installments. 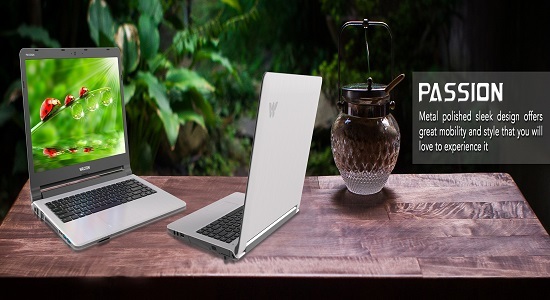 WALTON has introduced various design of laptops like prelude R1, passion, Tamarind, Karonda and Waxjambu brand Whether it is for personal or official use.You can use this version roughly for your demand. Online Promotional Price – Tk.39,663.00. Online Promotional Price – Tk.50,873.00. Online Promotional Price – Tk.23,266.00. Online Promotional Price – Tk.29,916.00. Online Promotional Price – Tk.41,753.00. Online Promotional Price – Tk.46,075.00. Online Promotional Price – Tk.40,613.00. Online Promotional Price – Tk.51,823.00. Available in markets – WP156U7S. Online Promotional Price – BDT. 51,823.00. WALTON provides a dynamic Variation to choose from depending on user preferences. Our laptops are loaded with the features that you need to make the most of every Scintilla of inspiration you have. They are thin, light and flexible and delivers the battery life to get all your work done on time. To know more about the price and to compare the products, visit the link below: www.waltonbd.com. Walton is the most popular domestic company in Bangladesh. Before Walton company has popular for Walton mobile made. After successful launching company is new launching Walton Laptop for Bangladeshis peoples. Walton mobile users known us that Walton mobile is very comfortable and lengthen and powerful. For more update about science and technological news, like our page. Leave your comment, like our Facebook page. Visit www.techupdatenews.com. Please likes and share of Walton Laptop Made in Bangladesh.